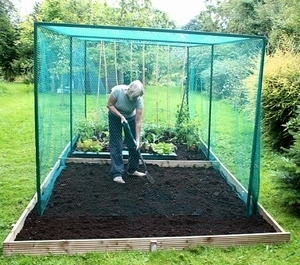 1.25m wide x 1.25m long x 1.85m tall pop-up fruit and vegetable cage with 4mm garden netting. 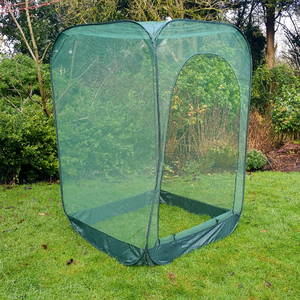 at 1.85m high (6ft), this pop-up bird proof frame is ideal to protect raspberry bushes and other tall fruit and vegetable crops). 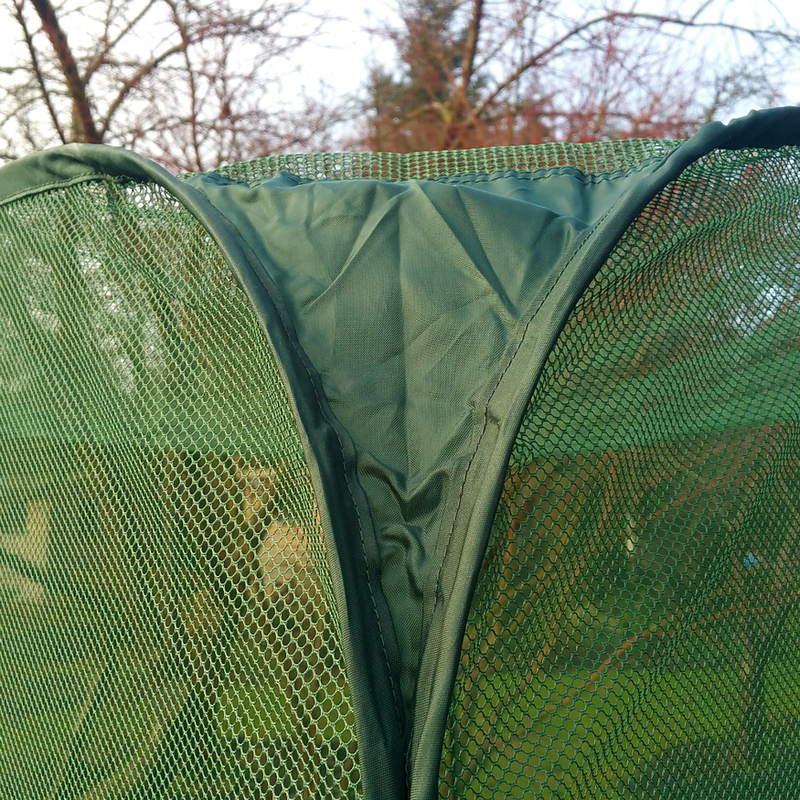 The system is made from a high strength sprung steel frame and high strength fabric and woven 4mm PP garden netting that will stop ALL birds and butterflies. 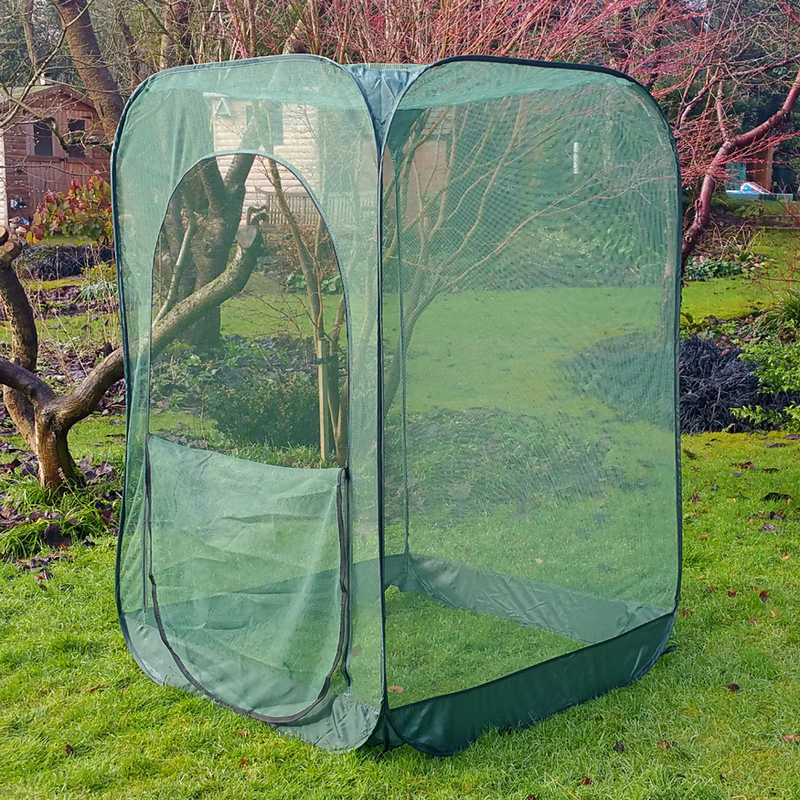 The 1.25m wide cage makes this our largest pop-up raspberry protection system. 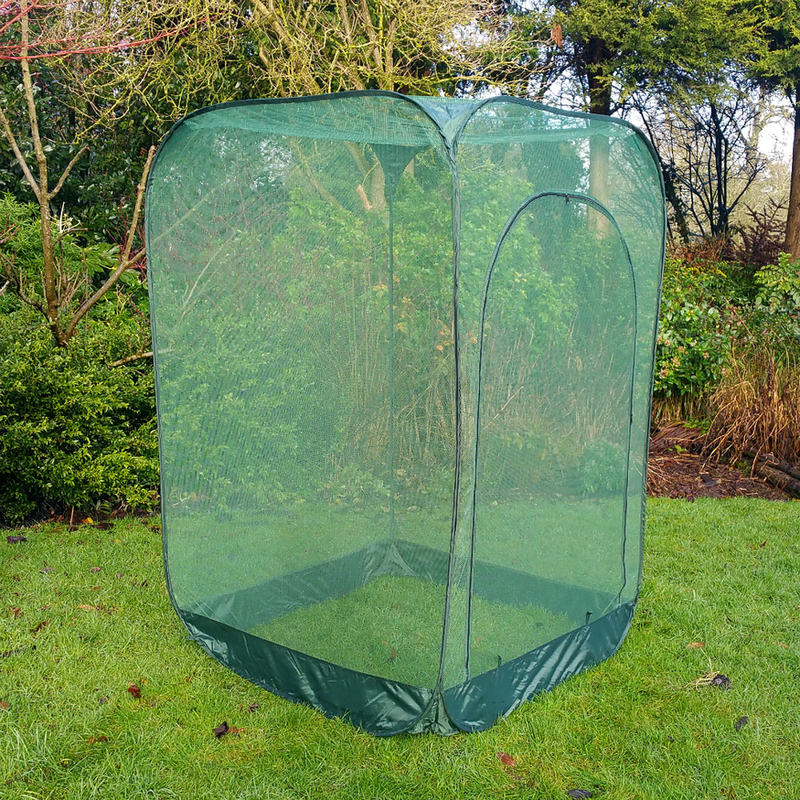 Quick to install and supplied with pegs to fix to the ground, the cage is supplied with a zipped access door to get access inside for pruning, harvesting or maintenance. As quick as it goes up, the fruit netting cage can be packed away - flat-packed and stored for another year. 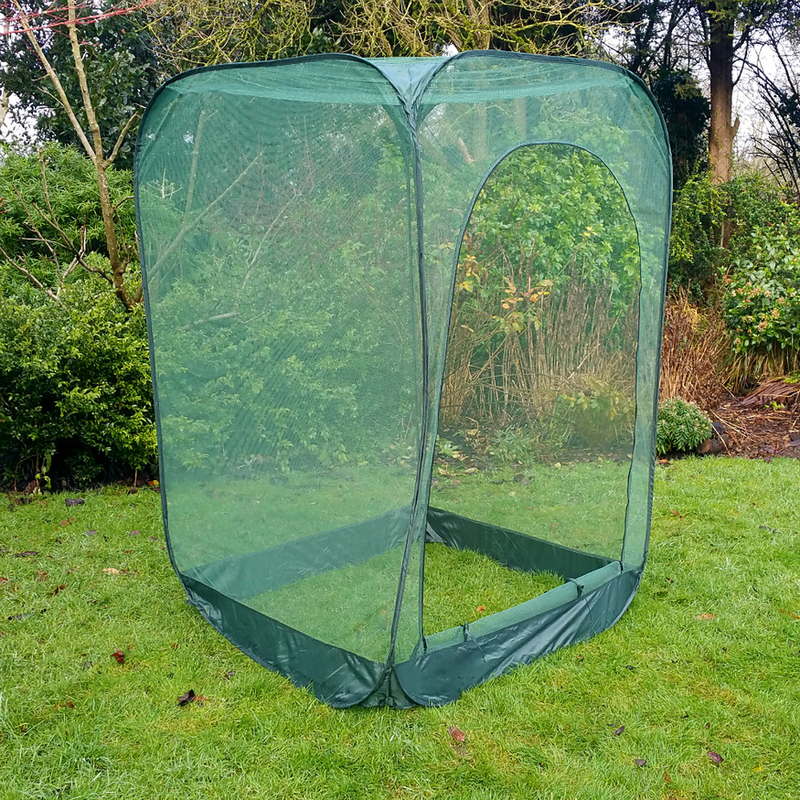 We stock a large range of pop-up garden protection systems ranging from 75cm high, 125cm, 135cm and up to 1.85m high and from 1m wide up to 2.5m in length.